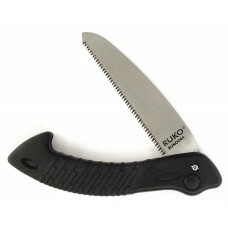 Selection of Machetes, Saws and Axes in the RUKO® Outfitter Designs and Patterns. 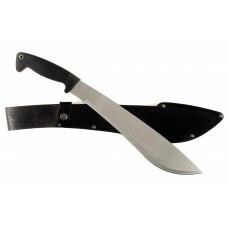 High carbon steel machete, nylon pinned handle, saw back blade, cotton canvas sheath. 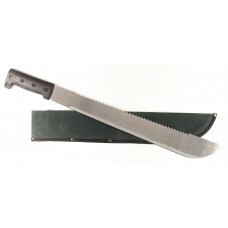 Blade Le..
Deluxe rubber handle drop point machete, S45C high carbon stainless steel blade, simulated leather s..
Rubberized nylon handle folding saw, M65 spring steel, pivot pin blade locking mechanism. Blade Leng..